Facebook is changing things again, which of course means we have to change things again. The alterations to the News Feed are one of the largest ever in this area and also a sign of the times. As mentioned by Zuckerberg, around half of all the news shared is visual and so having a visually focused News Feed is a must for Facebook, while understanding how to make the most of it is a necessity for you. There is little or no doubt that images are going to play a significantly increased part of the News feed, so using more high quality images is a good idea. Expect to see a rise in engagement in the coming weeks with photos and video. Text can still be included, but think about using memes, text based photos and other such visual media. Copy and captions will not appear below the image anymore and will now overlay in News Feeds. As the image is more powerful than the copy and you won’t want text detracting from the image, you should ensure that it’s short and succinct, while also descriptive and informative. An eye catching image is a necessity here as whenever someone likes a business’s page, the cover photo will appear on the News Feed. This is for context purposes according to Facebook. So, obviously to create the most impact, include a high quality photo and change it often to keep attention. Creation of gripping content is all important as Facebook will now focus on top shared articles in a Linkedin Today style. This means that if you use Facebook to push your content, you will need to ensure it is top quality to get it the attention it needs. Facebook will aggregate the most engaged with content and push it up the News Feed, thereby increasing visibility and offering rewards for better content. It seems that third party apps are to have more of an influence on the News Feed. Pinterest could be extremely important here as it is so focused on images. So, we’d suggest you integrate both accounts and increase the chances of engagement. 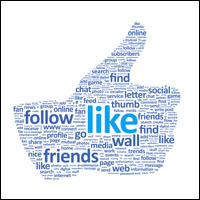 There was a lot of controversy over the value of Likes in 2012; however Facebook has constantly cemented their importance in 2013. The latest change is News Feed orientated and the reach of a Like is far greater now than it was. When a user likes a new page, their friends are shown a far bigger image of the page, including a profile picture and cover photo. Of course, the more Facebook real estate a Like offers; the more value it has. The check-ins feature is also important if you have a physical business as they also offer a new way of sharing your business with people and their friends. Begin to encourage this and you’ll see success now and in the future as Facebook integrates this feature more-so. Facebook is changing constantly and by keeping up you not only build a platform for the present but also future proof your page and strategy for further inevitable changes. Need help with your social media marketing campaigns? Get in touch with My Social Agency.